It’s an ironic turn of the flow of history. The Seattle archdiocese was once renowned for its dedication to social justice care inclusive of all, including LGBTQ individuals, and thus was investigated in the 1980s by the Vatican at the instigation of then Cardinal Joseph Ratzinger. Now that Ratzinger is Pope Benedit XVI, the Seattle archdiocese has been transformed into being one of the swords of the Vatican’s crackdown on those who resist its legendary three D’s of discipline, dogma and docility. 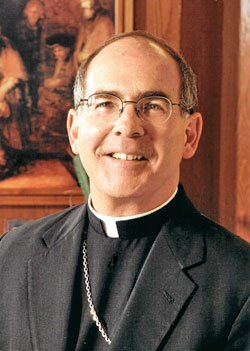 Archbishop Peter Sartain has been assigned to impose the three D’s on, of all people, the church’s own nuns. A Vatican assessment has accused the Leadership Conference of Women Religious, which represents about 80 percent of nuns in the United States, of deviating from Catholic teaching in areas such as homosexuality, abortion, euthanasia, and women’s ordination. Sartain has been handed the power to put them back in line. Coming on the heels of Sartain’s unique and aggressive stance against Washington’s marriage equality law (see post below), he now moves into a very high-profile role amongst U.S. bishops. Why give the job to someone in such an out-of-the-way diocese as Seattle’s? Well, as some have speculated, a cardinal’s red hat may be waiting — depending on Sartain’s own acts of determined discipline. For part of the historical background, see the “Catholic Hill” excerpts on this site.